The World Cup will be held in Russia between June 14 and July 15, 2018, being the first time that this country organizes this renowned football tournament. 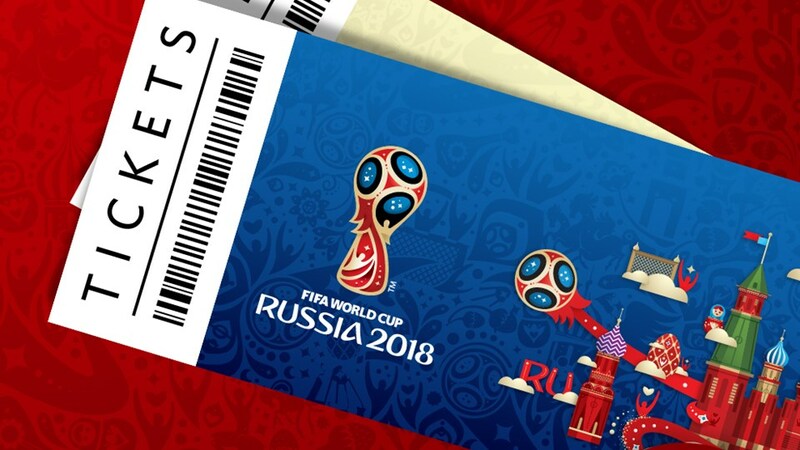 In this practical guide you will find all the information you need to prepare your trip to the 2018 World Cup in Russia: purchasing tickets, FAN ID card, venues, stadiums, schedules and practical aspects to plan the trip. The World Cup Russia 2018 will be celebrated between June 14th and July 15th, 2018, and it will be the XXI edition of the World Cup. Though Russia already celebrated Olympic Games in Moscow in 1980, this will be the first time that it organizes a FIFA World Cup. In the final vote to elect the organizing country, on December 2nd, 2010, Russia won the last round of votes against the candidatures of Spain-Portugal and Belgium-Netherlands. 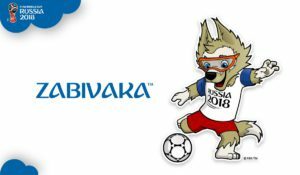 On October 21, 2016, the mascot for the World Cup was chosen, a wolf named Zabivaka (or “little striker”). In this guide, which I will try to keep updated until the end of the World Cup, you will find all the practical information to prepare your trip to this very important event in 2018. 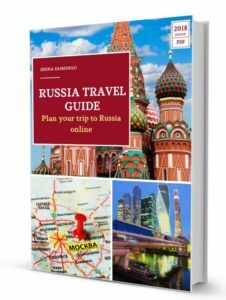 In this first part I will explain the proceedings that must be followed to enter Russia without a visa, the documents that you need to carry, as well as practical aspects, such as arrival to the airport, trips to the city centre, check-in at your accommodation of choice and the rules that must be followed during the stay to avoid problems. The first thing to know when traveling to Russia is that it is a country with some requirements to enter. These requirements often refer to the need for a visa, which is an authorization granted by the Russian Immigration Authority to foreign citizens to enter or stay temporarily in the country, which is stamped in their passport. While there are around 40 nationalities that don’t require visa to enter Russia (mainly countries of the former USSR and South American countries), it is necessary for the rest of the citizens of the world (including the EU) to obtain a visa, which implies the submission of documents and the payment of consular fees. However, in order to facilitate assistance to the World Cup in Russia 2018 to all fans around the world, the Russian government, passed a law in July 2016 to have visa exemption during the competition period, i.e. between June 14 and July 15th, 2018. The first of the conditions to enjoy the visa exemption is to have tickets to attend a World Cup match. 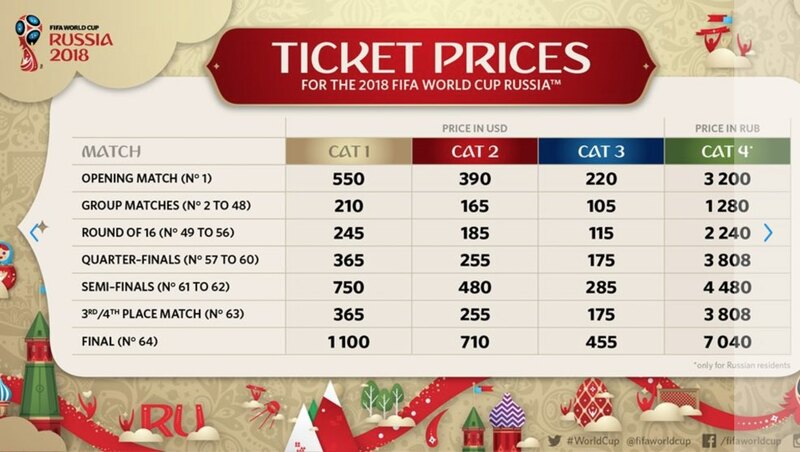 The ticket sales process is carried out by FIFA through their website http://www.fifa.com/tickets and during the last-minute sales stage at the FIFA Venue Tickets Centers in Russia. 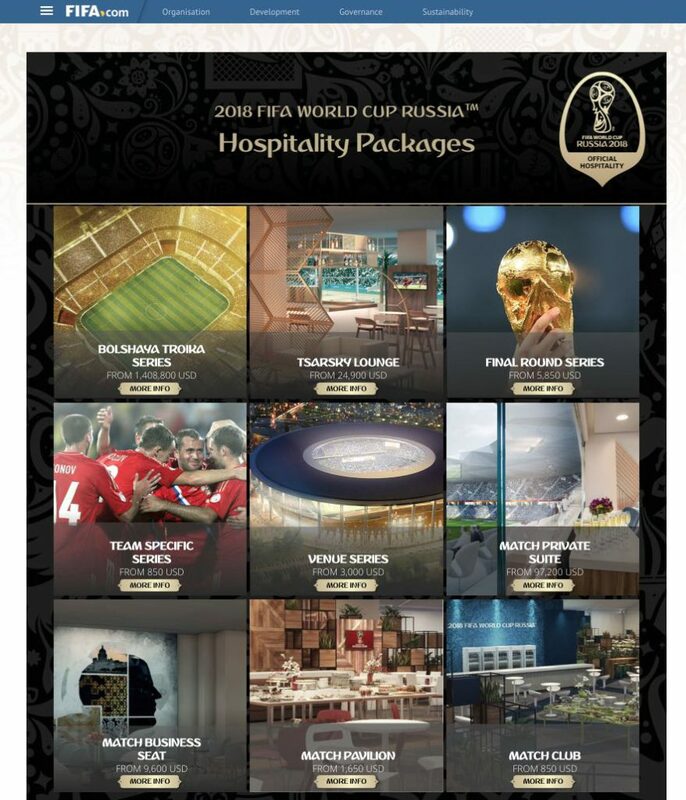 The ticket sales process for the 2018 World Cup was initiated by FIFA in June 2016, through the sale of so-called Hospitality Packages, through the private company Match Hospitality. These are the “most luxurious” tickets that contemplate being in the VIP area of ​​stadiums seats. 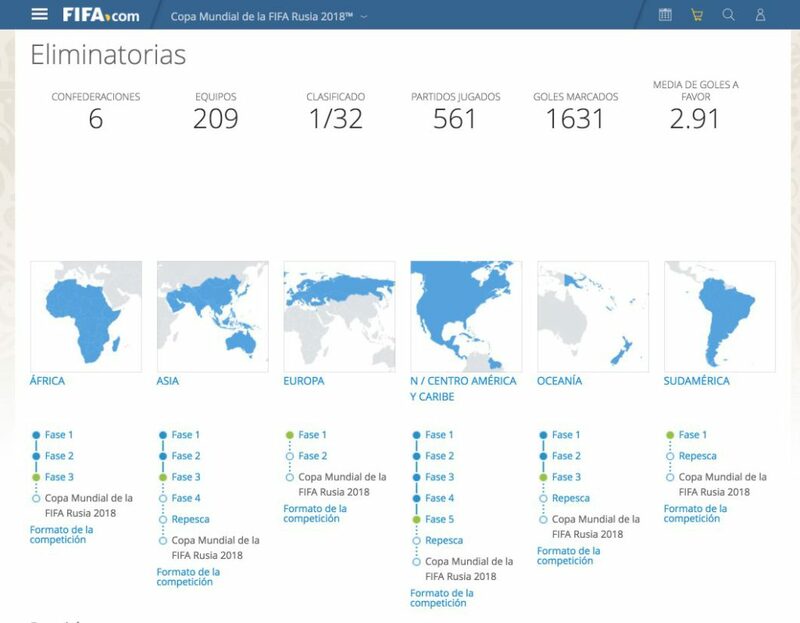 Some of these packages assure you the entrance and access to the semifinals of the tournament, as well as the matches that your country’s team will play. The prices range from 850 to 2 million dollars and some packages allow you to form groups and reserve some of the stadium seats. In short, these are tickets with exorbitant prices, not suitable for the vast majority of the public. These Hospitality Packages can be accessed and purchased through the Hospitality website. Sales Phase 1. It took place between September 14 and October 12, 2017, during which 3.5 million applications for tickets were randomly drawn through the FIFA website. After the random draw has taken place and successful ticket applications have been assigned, fans can purchase the remaining tickets through sales orders, from November 16 and 28, 2017. Sales Phase 2. It is done when fans already know the place where all the teams will play. It is also divided into two sales periods. The first random lottery sales period will be from December 5, 2017 until January 31, 2018. Remaining entries will be available from March 13, 2018 through April 3, 2018 and will be assigned by application order. Last Minute Sales Phase. It will be made from April 18, 2018, till the day of the last match of the competition, by application order. Ticket prices range from $105 to $1,100 depending on the ticket category (1, 2, or 3). It also establishes a category 4 that is destined only for the resident population in Russia, with more economic prices, and these oscillate among 1,280 and 7,040 rubles. The second condition to have a visa exemption is to obtain the FAN ID or Fan Passport. This is a kind of identification card for fans attending the World Cup. 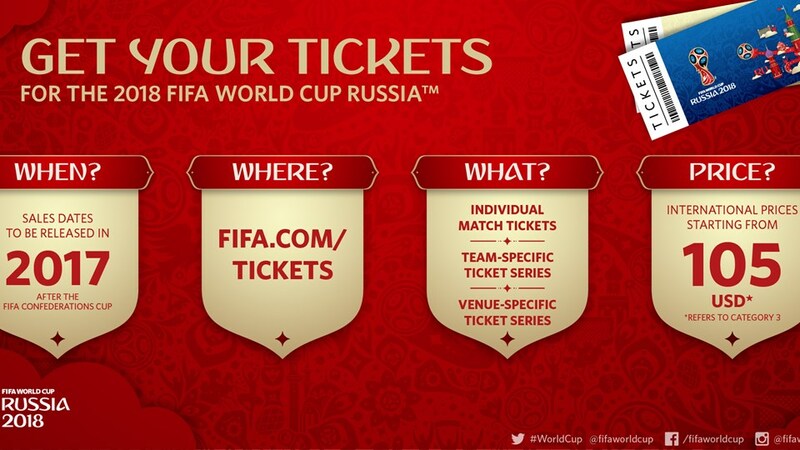 In order to obtain it, it is necessary to have purchased any ticket for any World Cup match. 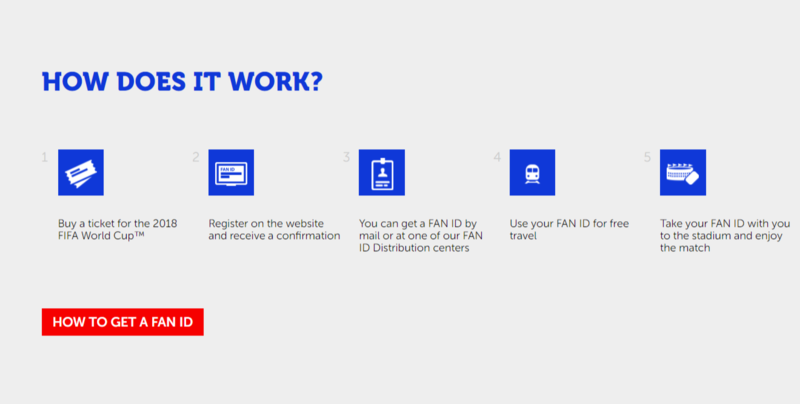 The FAN ID grants the right to use trains for free between the organizing cities of the World Cup, as well as the public transport in them during the matches. The application and delivery of FAN ID are free. You can begin the application process for your Fan ID, once you have received the FIFA email confirmation for your purchase, when the random lottery sales period ends. To obtain the FAN ID, you must register on the designated website by the Russian Government and complete a form in which you have to enter the information of your ticket, passport and other personal information. Also, you must specify your postal address, so they can send the card to your address. At the end of the procedure you will get an application number, through which you can track the status of your request. You can also register and collect this card at the designated registration centers. The card is valid throughout the World Cup period and children must also have their FAN ID. This is a procedure that was already used in the Olympic Games in Sochi and has also been used to attend the 2017 FIFA Confederations Cup in Russia, through the website https://www.fan-id.ru. 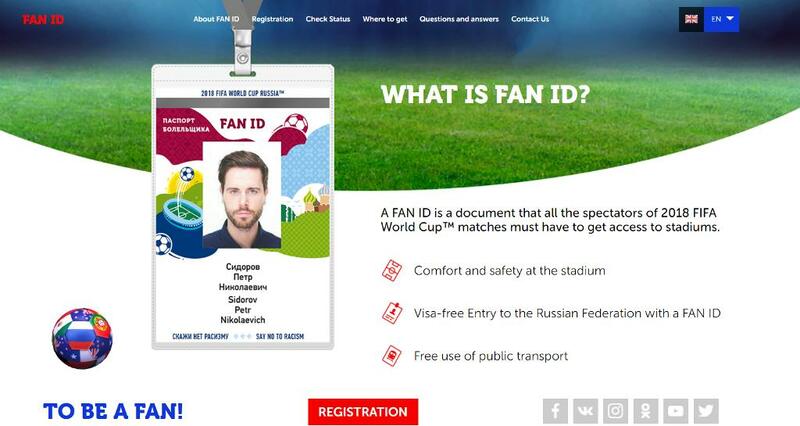 During the 2018 Russia World Cup, the FAN ID allowed you to enter Russia for 10 days before the date of the first match and leave Russia until 10 days after the date of the last match. If your trip to Russia occurs outside of the Fan ID dates, then you will need to apply for a visa (more information in this article). Health insurance. You must have a travel medical insurance policy that covers your stay, in case of any incident or eventualities. You can find a more detailed explanation on how to get an online insurance that covers you in Russia in this article. Volunteers and journalists won’t need a visa and will have free admission up to 5 months before and 1 month after the event. If you don’t have tickets to the World Cup, but you want to travel to Russia to see the festive atmosphere, it is important to know that, just as in the last world cup, the host cities of the matches will hold FAN FESTs, organized by FIFA, which will gather thousands of fans to watch live matches via giant TV screens in the host cities of the World Cup, as well as live music and animation, sale of World Cup souvenirs, etc. In Moscow, the FAN FEST will take place in Vorobyovy Gory (Sparrow Hills) near the main stadium of the World Cup, the Luzhniki. For its part, in St. Petersburg, the FAN FEST will take place in Konyushennaya central square, where it was already held for the Ice Hockey World Cup 2016. Once you arrive in Russia with your passport, your FAN ID card and your tickets, you must keep in mind that there is a series of documentation and proceedings that you must do. As soon as you get off the plane, you have to go through the passport control in immigration counters or booths enabled for that purpose. There are two different queues, one for Russians and one for foreigners. At these counters, the immigration officials or agents will thoroughly review your passport to verify that your information is correct and that it has no erasures or amendments. 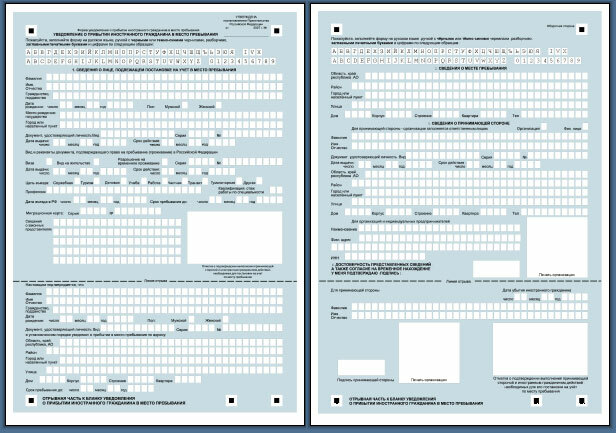 In addition to reviewing your passport, the immigration officials will fill out an immigration card with your personal information. This card consists of two parts, each with identical information. One of them will remain with the customs officer, while you will keep the other (you can keep it inside the passport, as it’s the same size). It is important to keep this card, as they will request it to you when you leave the country. In addition, you will need the immigration card to check in at the hotel (I’ll explain more later). In addition, this immigration card must be delivered when you leave the country. At Domodedovo and Sheremetyevo airports in Moscow, the customs agents will fill in this card in printed form, while at the Pulkovo airport in St. Petersburg they usually fill this card manually. In other smaller airports, it is possible that the plane personnel will deliver this card just before the landing for passengers to fill it in with their data. If the latter is the case, there is no need to worry since the card is in Russian and English and is very easy to fill out. The passport and immigration card proceedings, if there are not many arrival flights at the same time, can take no more than 15 or 30 minutes. If there are more arrivals and lots of people, which will be usual during the World Cup, it is expected that you would have to wait an hour or more. Once you have passed through the passport control you can go to the baggage claim area. If your passage through the passport control area was fast, you may have to wait a little until your bags arrive, but if the passport control proceeding was slower, your bags will already be waiting for you. If your suitcases don’t appear anywhere, the lost luggage counter is usually located in the same collection hall. The odds of losing your luggage at a Russian airport are no greater than at any other airport in the world, since it is something that depends more on the airline with which you travel, and your flight connections, more than anything else. After picking up your bags, you will pass through customs. It is not very often that they would inspect your bags manually, unless you have reason to do so. You must access the green corridor, if you don’t have anything to declare or the red corridor, if you have to declare something. 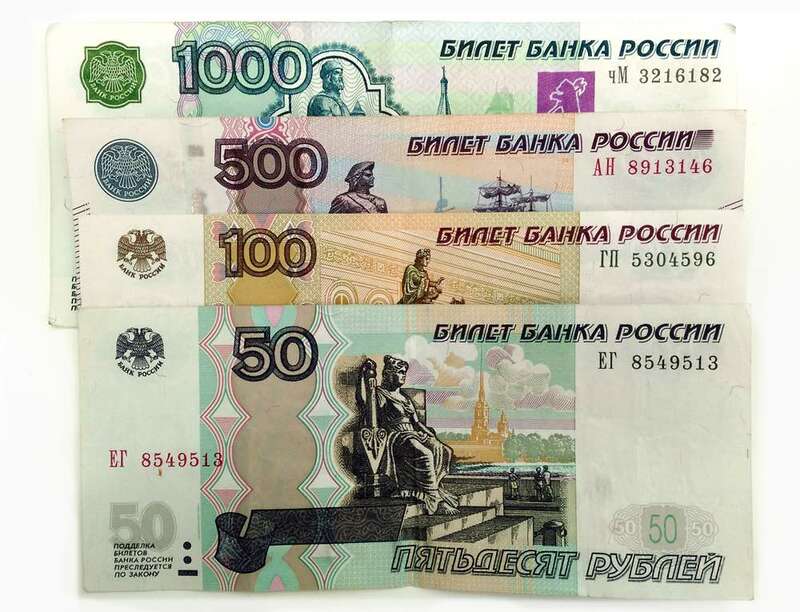 There is no limit for the entrance of foreign currency, but if you bring more than 10,000 dollars to Russia (or the equivalent in other currencies), you must declare them in customs. In these cases you should make sure that the statement form is stamped by a customs official in order to prove ownership of the money at the time of departure (in case you didn’t spend everything during the trip). By air (in the case of individuals) the product imports that may be worth less than 10,000 euros are allowed, provided they do not exceed 50 kg and are for own use. The ban on importing EU food products into the Russian Federation does not affect natural persons. Thus, the import of animal origin products by individuals (cold cuts, cheese, ham, pates or preserves, among others) is allowed if they don’t exceed 5 kg, and as long as they retain the factory wrapping. In regards to fruit and vegetables, the Customs Union Commission (to which the Russian Federation, Belarus, Armenia, Kazakhstan and Kyrgyzstan belong) does not provide any specific restrictions on travelers. Up to 400 cigarettes or 500 grams of tobacco products. A maximum of 3 liters of alcoholic beverages, and only for persons of 21 years old or more. Visitors can take out caviar (up to 5 kilograms of red caviar and up to 250 grams of black caviar) and vodka (subject to limitations of the airline), or up to a liter of spirits per passenger. Foreign citizens can bring medicine (even the kind not registered in Russia) for personal use with no limits as long as they do not contain narcotic or psychoactive substances. If your medicine contains highly potent, narcotic or poisonous substances, but you wish to bring it, you will need to provide a notarized recipe or medical records proving the requirement, along with a notarized translation to Russian. These items need to be declared at customs. You can leave the country with all kinds of medicine (except narcotics), dietary supplement and herbs – these items have no restrictions. In short, quantities that can be considered as personal use and not for commercial purposes. In any case, all these restrictions change constantly and it is best to consult the IATA website. Once you arrive at your accommodation, the hotel or apartment host of the place in which you are going to stay, has the obligation to register you. 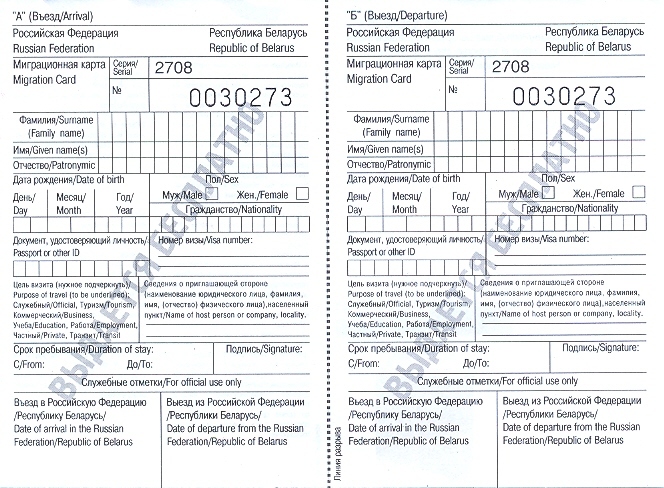 The purpose of this registration (which comes from the communist era) is to notify the immigration authorities of the place where you will stay, while you are in Russia. Registration must be done in each of the cities in which you are going to be. This consists of filling out a registration form (another one). Usually, registration must be made within the first 7 business days of arrival in Russia (excluding weekends and holidays). However, in May 2017 a new registration regulation was issued, in which foreigners must register the first day of their arrival between May 25, 2018 and July 25, 2018 in the host cities of the World Cup in: Volgograd, Yekaterinburg, Kazan, Kaliningrad, Moscow, Nizhny Novgorod, Rostov-on-Don, Samara, St. Petersburg, Saransk and Sochi. If you stay at a hotel, when you arrive there, the hotel will take care of registering your visa. You will be asked for the passport with the visa and the immigration card (the one you are given at the border when you enter the country). If you won’t spend the night in a hotel, but in an apartment or a private residence, then it is the Russian host who must register his guest at a police station or at a post office. You don’t have to be present at the registration, but you must give your host a copy of the first page of the passport, the visa and the immigration card. In some accommodations, the host may charge a small amount to the client to register. It should also be noted that there are also companies that can pay for the registration process. An accreditation of the registration is not necessary in order to leave the country, though it is necessary in the immigration card. You must always carry the original passport during your stay (no photocopies), in case it’s requested by the police. In any case you will need it to register at the hotel, to buy a Russian SIM card to connect to the Internet, for train travel between cities, etc. You must also carry your FAN ID card. Be very careful when photographing military establishments, border control points, places of strategic importance (including airports), since it is prohibited. You could be arrested and fined. Apart from this, amateur photography is allowed in most public buildings and museums, although it is usually customary to pay a special ticket if you are going to use professional equipment (with a tripod), otherwise you can be warned or fined. In the Metro, a special authorization is necessary if you are going to use a tripod, otherwise you can be fined. Aggressive behavior can result in an administrative infraction of up to 1,000 rubles or even 15 days of arrest. This includes vandalism, shouting insults aloud on the street, harassment or going naked on the street. It is prohibited to participate in unauthorized demonstrations. Since June 2013, a law prohibiting the promotion of “non-traditional sexual relations” has been in force, but the definition and scope of the law is very vague. Foreigners convicted under this law may be arrested, fined and even deported. Given that Russia is still far behind when it comes to the rights for the LGBT community, it is advisable to be careful with public displays of affection to avoid problems. Smoking is prohibited in hospitals, playgrounds, restaurants, hotels, public transportation, etc. If you do it is very likely that you will be fined. While it is allowed to smoke in the car, in the streets (at least 15 meters away from metro stations or public transport stops) and in apartments or private houses. The purchase and possession of drugs (with jail terms of up to 3 years) is also prohibited. The matches will be played between June 14 (opening match) and July 15th, 2018 (tournament end). 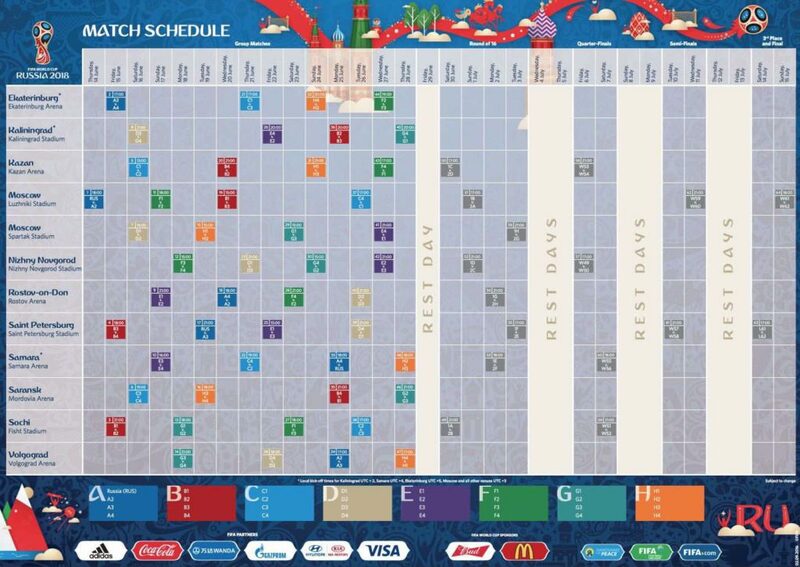 The match schedule can be viewed on FIFA’s website (pdf). The opening and final match and the final will be at 18:00 hours. Semi-final matches at 21:00 hours. The matches for the group stages are at 13:00, 15:00, 16:00, 18:00, 19:00 and 21:00 hours. The second round matches will be played at 17:00, 18:00 and 21:00 hours. IMPORTANT. These are in Moscow timezone, so you have to add the time difference in relation to other Russian cities. There will be a total of 32 teams in the competition, divided in the first round into 8 groups of 4 teams each, in which the first two teams from each group will be ranked as the best (16 in total), who will play the second round, which comprises the round of matches for the 16 remaining teams, up to the final. Currently, the 2018 FIFA World Cup qualifying rounds are underway, involving 208 FIFA affiliated federations. The only automatically ranked country is the host itself, Russia, as the tournament organizer, and the remaining 31 teams will have to qualify to play the final phase of the World Cup. All information on the qualifiers, matches and goals can be found on FIFA’s website. The 64 World Cup matches will take place in 11 cities: Moscow, St. Petersburg, Yekaterinburg, Kaliningrad, Kazan, Nizhny Novgorod, Rostov-on-Don, Samara, Sochi, Volgograd and Saransk. To try to reduce distances and costs, only cities in the European part of Russia (the most populated and developed) have been chosen, with the exception of Yekaterinburg, which is located in the Asian part of Russia, on the eastern part of the Ural Mountains. The Luzhniki stadium, which was the main venue for the 1980 Olympic Games, which will include the inaugural event and the first match of the World Cup and where the final will be played, as well as a semifinal and other matches in the group stage. Spartak Stadium (home of the local Spartak football club, also known as Otkrytie Arena), which opened on September 5, 2014 and which will host 4 matches of the group stage, and a game of the second round. Piter Arena Stadium in St. Petersburg. The Russian capital of the north will be host of 7 matches in Piter Arena stadium, among them one of the semifinals and the match for the third and fourth place. Ekaterinburg Arena Stadium: 4 group stage matches will be played. Kaliningrad stadiums: 4 group stage matches. 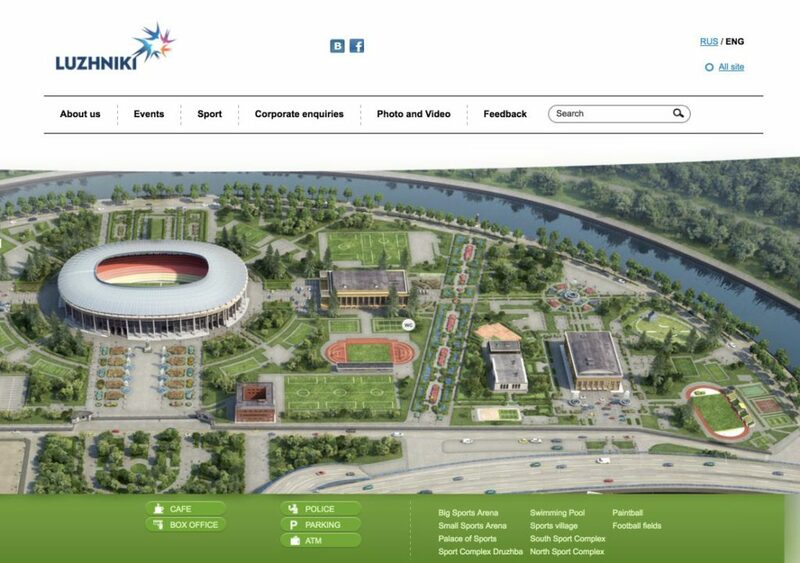 Volgograd Arena Stadium: it will host 4 matches of the group stage. Mordovia Arena Stadium in Saransk: 4 matches of the group stage. 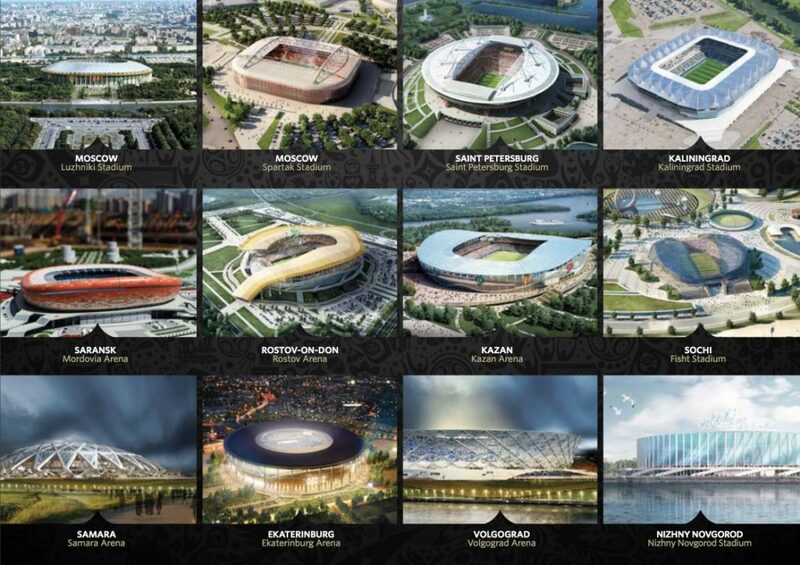 Kazan Arena Stadium: 4 group matches, 1 round of 16 matches and a quarter final match will be played. Nizhny Novgorod Stadium: 4 group matches, 1 round of 16 matches and 1 of quarter finals. Samara Arena Stadium: 4 group matches, 1 round of 16 matches and 1 of quarter finals. Fisht Stadium in Sochi: 4 matches in the group stage, 1 round of 16 matches and 1 of quarter finals. Rostov-on-Don Arena Stadium: 4 matches in the group stage and 1 round of 16 matches will be played. Once you are in one of the cities, the best way to get around is by Metro, an economic means of transport and through which you will avoid traffic jams during peak hours. There is the Metro available in six of the venues: Moscow, St. Petersburg, Kazan, Nizhny Novgorod, Samara, and Ekaterinburg. In Volgograd you can use the metrotram, a high-speed tram. During the World Cup, the Metro will be open 24 hours a day. In addition to the Metro, you can also travel by bus, tram or taxi. Some cities have cards that allow all public transport systems to be used at a very economical price, such as the Moscow Troika card. IMPORTANT: The FAN ID grants the right to use public transport free of charge during matches. To get around by taxi there are some Russian companies that allow online booking (like KiwiTaxi) or mobile applications like Uber or Gettaxi are also very useful. It is important to know how to move through the host cities, as each national team will change their venue in each match. For example, the national team of Russia will play their first match in the group stage in Moscow, the second in St. Petersburg and the third in Samara. Airplane. Airline tickets can be purchased in Russian airlines websites, such as Aeroflot or S7 Airlines. To get the best price it is always advisable to buy tickets in advance and use intermediary sites, such as Momondo, to obtain the best fares. All host cities have regular flights to Moscow and many of them also have flights to St. Petersburg. Flights can take from 1.5 to 2.5 hours. The most distant destinations of Moscow are Yekaterinburg and Sochi. Train. The train is one of the best alternatives. All host cities are accessible by train. Train tickets, both for the night one and the high speed ones, can be purchased at the official website of Russian RZD railways. Tickets go on sale 45 days in advance. Night trains are usually more expensive, but you’ll save a hotel night. High-speed trains run between Moscow and St. Petersburg and between Moscow and Nizhny Novgorod (these routes take between 3 and 5 hours). 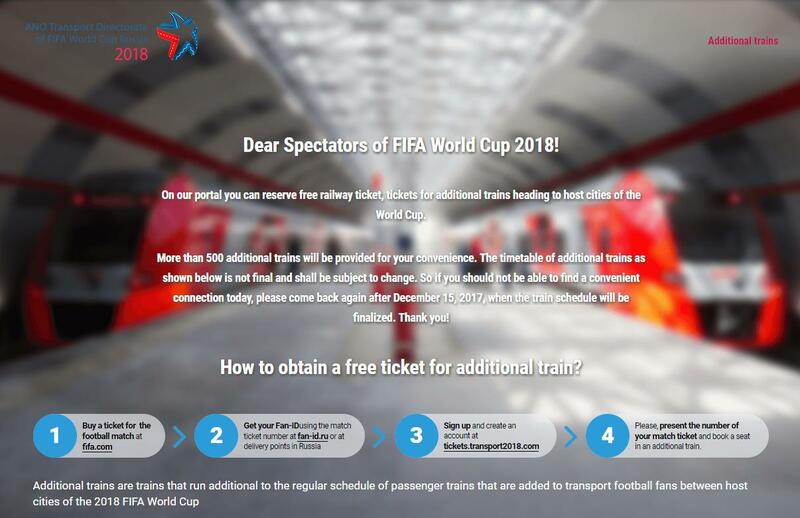 IMPORTANT: The FAN ID grants the right to use trains for free between the organizing cities of the World Cup, though the tickets must be pre-booked on the website designated by the Russian Government: http://tickets.transport2018.com/. Bus. The bus is a more economic alternative, but more uncomfortable and with longer journey times. All host cities except Kaliningrad have bus lines to Moscow or between the same cities. Trips can take between 6 and 12 hours. In many cities, the bus station is close to the train station. To buy bus tickets online you can use the InfoBus platform. Finally, we can say that a car is not the best alternative to move between the venues since the distances are enormous and the state of the Russian roads is not very good. Anyway, if you decide to rent a car, this article will explain everything you should know: Is it worth renting a car in Russia? Recommendations and requirements. There are a number of practical aspects that you must consider when planning the trip: accommodation, food service, Internet connection, money exchange, time, safety, cost of the trip, etc. There are different types of accommodation in which you can spend your stay in Russia: hotels, whether of international or local chains, tourist apartments or hostels. The choice of one or the other may depend on many factors: budget, number of people, age, personal preferences, etc. An excellent option is to stay in hotels of some of the international hotel chains that are available in Russia. Some of these chains, such as Accorhotels, have several brands (Mercure, Novotel or Ibis), with prices that vary, according to the level of services offered. The same is true of Radisson hotels. There are also very good 3 to 5 star Russian hotels located in the cities’ centre. You can always read other user’s opinions. For large groups, families or longer stays, a good option is the use of tourist apartments, while for young people, students or travelers who go alone and looking for something economic but well located in the city’s centre, hostels are a better option. 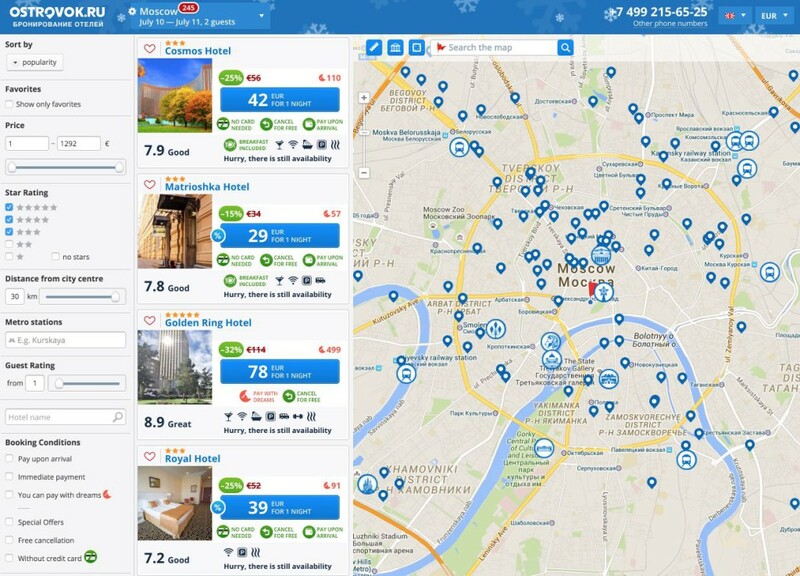 In any case, when it comes to booking a hotel, it is always essential to read the opinions of other users and compare prices between different platforms such as Booking, or Ostrovok, a Russian platform, where you can find even better deals than Booking or other platforms. 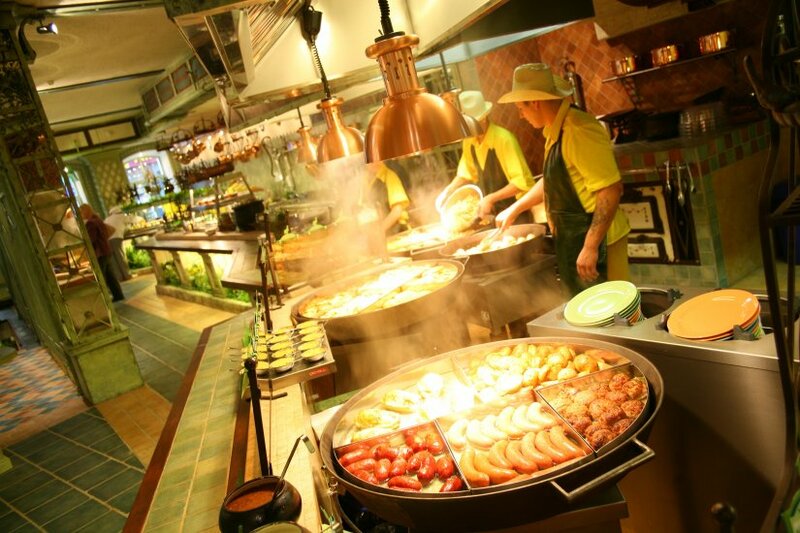 In Russia you can find a variety of typical Russian restaurants, from Russian fast food establishments and buffets (such as Teremok, Kroshka Kartoshka, Mu Mu, or Yolki Palki) to fine Russian restaurants (such as the Pushkin Cafe, or restaurants such as Mari Vanna and Farenheit). It is also pertinent to add the restaurants of the ex- Soviet republics of Georgian, Uzbek or Ukrainian cuisine, to mention some. You can find more information in this article: Where to eat in Moscow: from Teremok to Café Pushkin. In many public places (parks, hotels, restaurants, etc.) it is possible to connect to the Internet via WIFI. 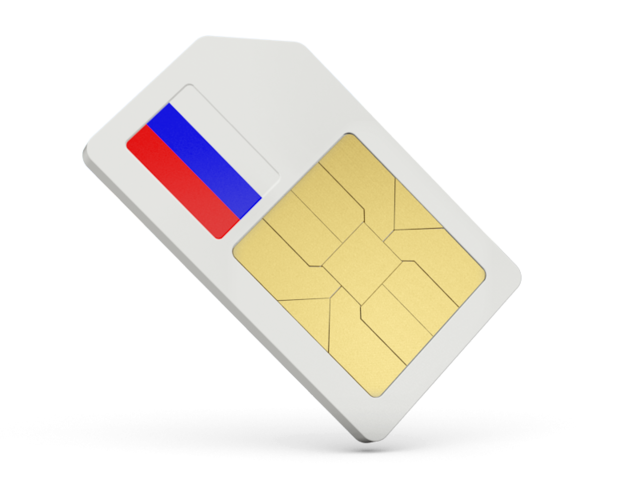 However, to be permanently connected throughout your stay in Russia, it is best to buy a Russian SIM card to have Internet anywhere and to make cheaper calls. If you use your mobile phone in Russia, the invoice can be very expensive. On the other hand, for about 400 rubles (just over 5 euros a change), it is possible to purchase a Russian SIM with 400 minutes of calls and 5 Gb of Internet connection. In addition, they are easy to acquire in any mobile phone shop and you will only need your passport. To exchange any currency to rubles, you can do son before leaving for the trip or during the trip in Russia. Before the trip. The exchange of rubles can be done in your bank or with an online currency exchange service, where the exchange rate is better than with the banks (i.e, Travelex). It’s good to carry some amount of rubles to meet your initial expenses. It is true that you will pay a little more money than if you make the exchange in Russia, but maybe you will be tired from the trip and you save having to waste time looking for tellers or money exchange offices upon your arrival at Moscow airport or St. Petersburg. During the trip. The exchange of rubles during the trip can be done in several different ways: by getting rubles at an ATM with your bank card, making the exchange in Russian banks or using your bank card directly to make purchases. To know where you can make the exchange in the most economic way possible, I recommend reading this article: Where is it better to change dollars for rubles?. The time during which the World Cup is held (June 14 to July 15, 2018) is probably the best time to travel in warmer temperatures, though it is also the rainy season. In some cities far north, as in St. Petersburg, the sun does not reach the “white nights” period, mainly from late May to mid-July. Moscow. It has a humid continental climate with long winters, and mild and brief summers. Temperatures in summer can range between 10 ° C and 30 ° C, and occasionally with heat waves up to 35 ° C. In addition, storms are also common in summer, when it rains the most. Nizhny Novgorod. 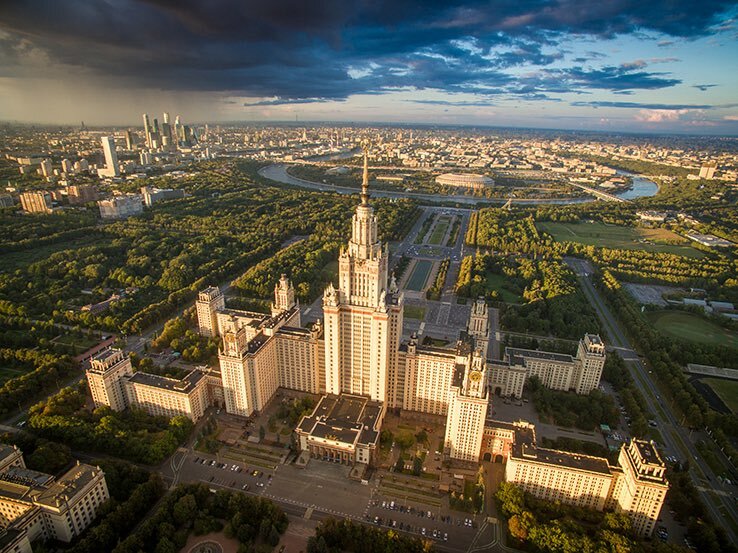 It has a very similar climate to Moscow although due to its continental climate, in summer the temperatures are usually cooler than in Moscow. The weather in Saransk is similar. Petersburg. The climate is humid continental with long and cold winters, and hot, humid and short summers. Temperatures are not very different from those in Moscow. The maximum average temperature registered in summer was 37 ° C, which took place during the heat wave of 2010. Sochi. It is a warmer city. It has a humid subtropical climate, with an average temperature that during the summer oscillates between 25 ° C and 28 ° C.
Rostov-on-Don. It has a humid continental climate of hot summers without a dry season. Temperatures usually reach up to 35° C in summer. Volgograd. The weather is temperate continental. The average temperatures in July are about 24 ° C, with maximums that can exceed 40 ° C.
Yekaterinburg. Located in the Asian part of Russia, it is a colder city, with a subarctic climate characterized by very cold winters that last approximately seven months. The summer, however, is very short and lasts about two months, with an average temperature of 14 ° C.
Kazan. The climate is continental humid, with warm summers and cold winters. The sunniest months are July and August; with average temperatures above 20 ° C. Samara’s climate is similar. Kaliningrad. This enclave is isolated from the rest of the Russian territory, with borders to the north with Lithuania and to the south with Poland. Its climate is temperate cold, with cold and cloudy winters, and mild summers, with frequent rains. The summer is predominantly warm (with temperatures that can reach 30-35 ° C) with plenty of sunshine, interspersed with heavy rains. Things to consider. If you arrive a few days before the start of the World Cup you have to know that June 12 is Russia’s National Day, which would be the Russian Independence, which took place on June 12, 1990. It is a young patriotic day and major Russian cities enjoy great entertainment venues with concerts on the street, sports competitions, opening exhibitions and also many fireworks. Is it safe to travel to Russia? What documents should I carry around during the trip? Is it safe to travel on Russian trains? And in Russian planes? And driving? Do Russian hospitals or health centers provide good medical care? Can you drink water from the tap in Moscow or St. Petersburg? Is there a limit of money to bring to Russia? Is it possible to pay with euros or dollars in Russia? Can I bring food to Russia? How much caviar can I bring from Russia? 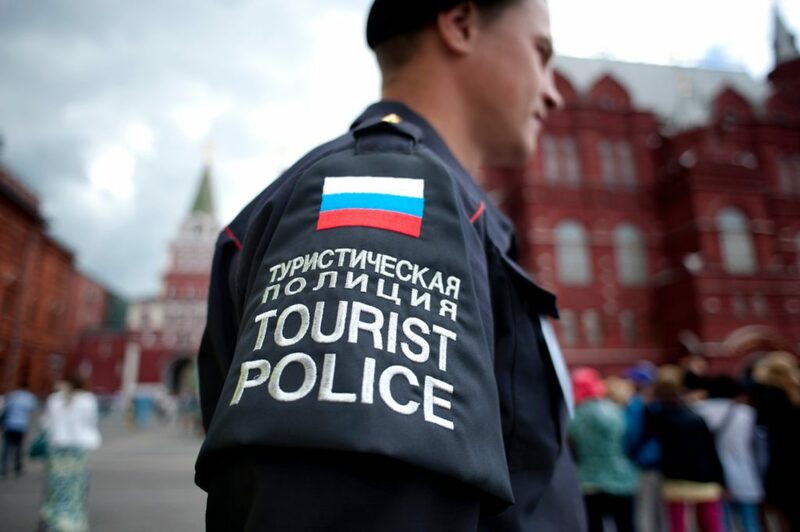 You can find all the answers about safety and health in this article: Is Russia a safe country for tourists? Travel tips. Until a few years ago, traveling to Russia was quite expensive, especially in big cities like Moscow or St. Petersburg. However, after the strong devaluation that the ruble has experienced in recent years, traveling to Russia has become quite affordable. If you compare the prices of major capitals like London, New York, Paris, Madrid or Barcelona, in Moscow the prices are quite more affordable. Far away is that image of Moscow as one of the most expensive cities in the world. I hope this guide will help you organize your trip to the 2018 World Cup. I will constantly update it. You can help by sharing this guide in your social networks. Thank you very much!